Police have arrested two males on suspicion of robbery following an incident at Hightown train station. 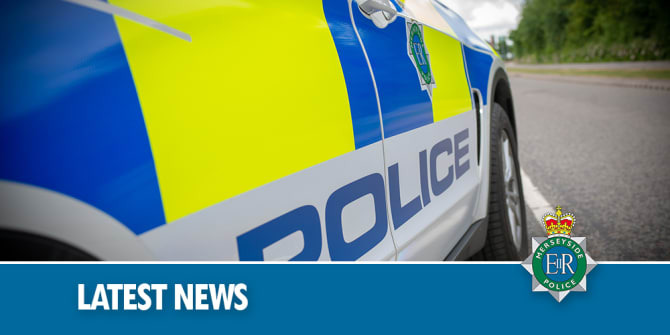 On Wednesday 10 April, at around 6.30pm police were called after a male was riding his bike in Hightown when he was approached by two males armed with a knife. The offenders took the bike and boarded a train in the direction of Hunts Cross. Officers from Merseyside Police assisted British Transport Police and detained two males at Crosby and Blundellsands station and recovered the bike. Detectives are investigating and would appeal to anyone who witnessed the incident to get in touch as they may be able to help with the investigation. Chief Inspector Peter Clark said: “This must have been very frightening for the victim and we are keen to speak with anyone who has any information to get in touch so that we can bring the offenders to justice. Anyone with any information about this incident, is asked to DM @MerPolCC or call 101, quoting reference 0924 of 10 April or contact @CrimestoppersUK anonymously. I wonder where the good old Railway Stations went to be replaced by train stations. Funnily enough trains run on the railway so perhaps train stations are built away from the Railway.